Tunkhannock Gingivitis (Gum Disease) Dentist - Highly-Trained Periodontist for Periodontal Disease in Tunkhannock PA Area with Joseph Kelly, D.M.D. Gingivitis is a mild form of gum disease that can be easily treated with regular brushing and flossing and professional dental care. However, more serious gum disease, or periodontitis, is one of the most serious and widespread dental issues facing dental patients today. As a periodontist, Tunkhannock area gingivitis expert Joseph Kelly, Jr, D.M.D., can help. Backed by years of training and experience, he has the skills to improve your periodontal health so that you can keep your own teeth and smile for years to come. Not many people really know about the warning signs of periodontal disease Do you? If you find that you have tender or swollen gums, or your gums bleed easily during brushing or eating, then you may have the beginning stages of this problem. 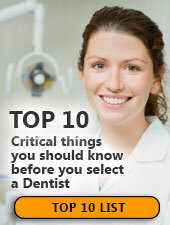 Any of these signs can be indications that you should contact Kelly Dental Care today. It's easy to make an appointment right now. Just call our helpful staff at (570) 587-4787 or complete our easy online form. Now is the best time to get the top dental care you deserve - we're looking forward to meeting you! If you're looking for a quality periodontist to treat gum disease and gingivitis in Scranton you've come to the right place. Dr. Kelly offers gum disease dentistry that Scranton residents have come to trust for caring and professional dental care. At Kelly Dental Care we recommend that you rinse your mouth with water after consuming any of these stain causing food, or use a straw to sip sodas and iced tea. Please call us at (855) 695-7452 if you have any questions about foods and your dental health. These benefits, often part of your employer's insurance program, are typically lost if not used. Please do not wait for the end of the year to take advantage of your dental insurance benefits, when our congested schedule at Kelly Dental Care may make it difficult to accommodate you at a convenient time for your own schedule. Call today at (855) 695-7452 to ensure your best health - particularly if you're due for your regular check-up and cleaning! The consumption of sugar, especially in sticky forms or in a baby bottle while sleeping, contributes to the rapid development of dental decay. Dr. Kelly believes that a balanced diet, effective brushing and sensible eating habits can reduce the risk of, or even prevent, infectious dental disease. If you need more information on how a healthy diet can improve your dental health, please don't hesitate to call Kelly Dental Care at (855) 695-7452.